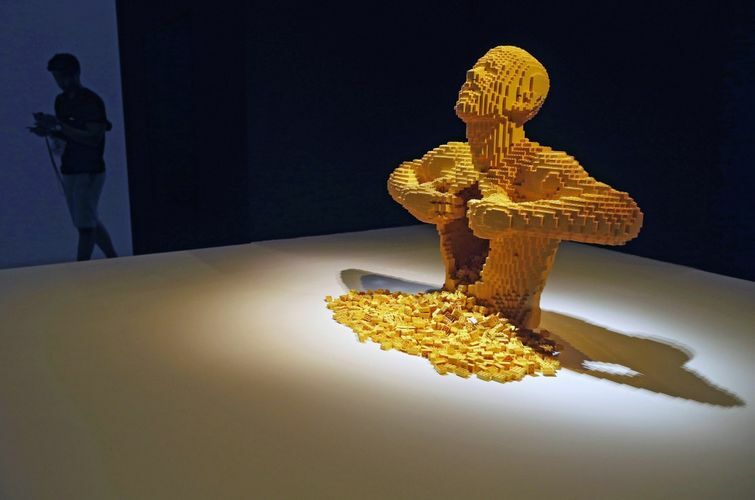 Learn more about Brick Artist Nathan Sawaya’s exhibition, The Art of the Brick, at ArtScience Museum, with the Art of Brick exhibition catalogue. It explores Nathan's personal journey, explaining his development as an artist and why he chooses to use LEGO bricks as his art medium and provides insight into his creative process and vision. The catalogue also features all of Nathan’s artworks in the exhibition, and the inspiration behind each of the pieces. Unlike most people, New York-based artist Nathan Sawaya never stopped building, creating and exploring his own imagination using LEGO® bricks which he has played with since a young age. In this critically-acclaimed and first major museum exhibition to use LEGO bricks as the sole art medium, Nathan transforms them into awe-inspiring and thought-provoking sculptures, elevating the toy to the realm of art. The Art of the Brick at ArtScience Museum is the biggest yet, showcasing 52 sculptures including the iconic sculpture Yellow, a 6-meter long T-rex dinosaur skeleton, and – unveiled for the first time – a sculpture of ArtScience Museum.